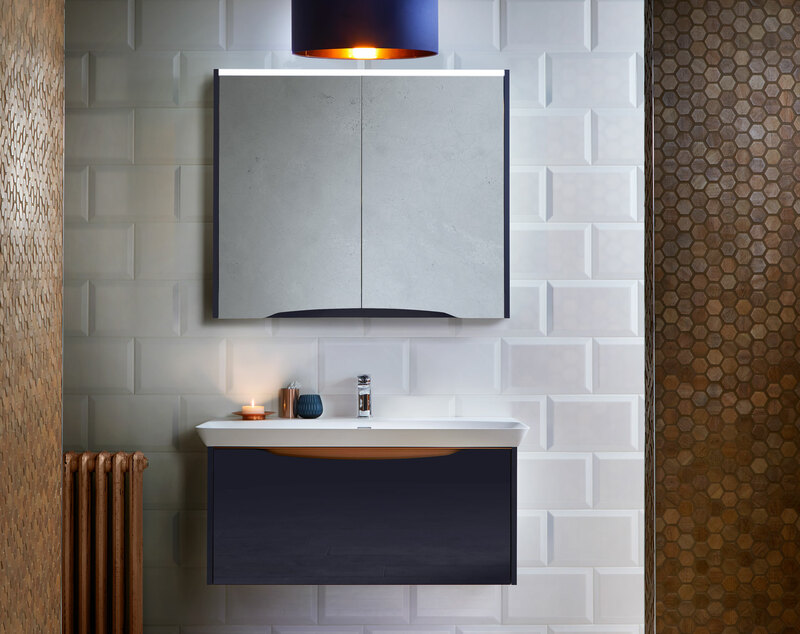 Bold statement units with striking metallics and show-stopping washbasin options make Lustre a truly luxurious centrepiece. 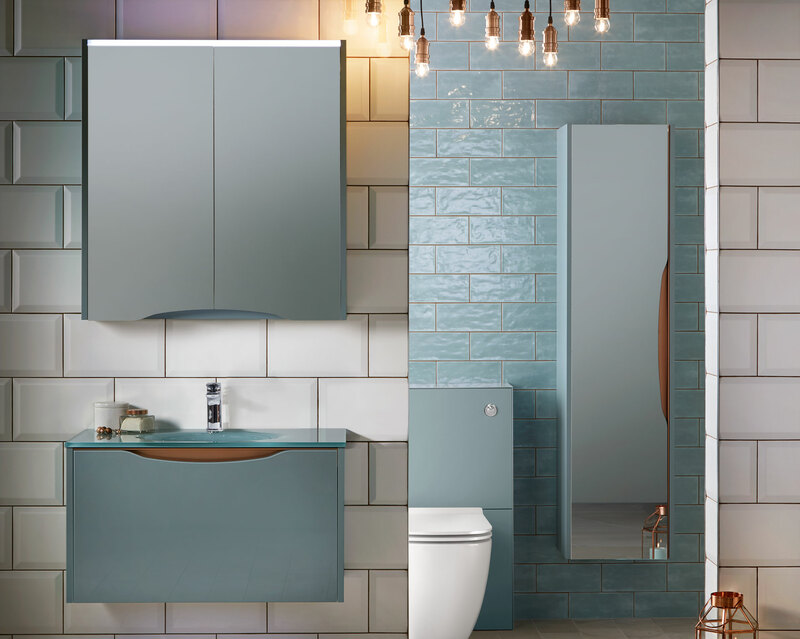 Matching glass Lustre glass washbasins in either Sea Green or Powder Grey perfectly match the glass door fronts. 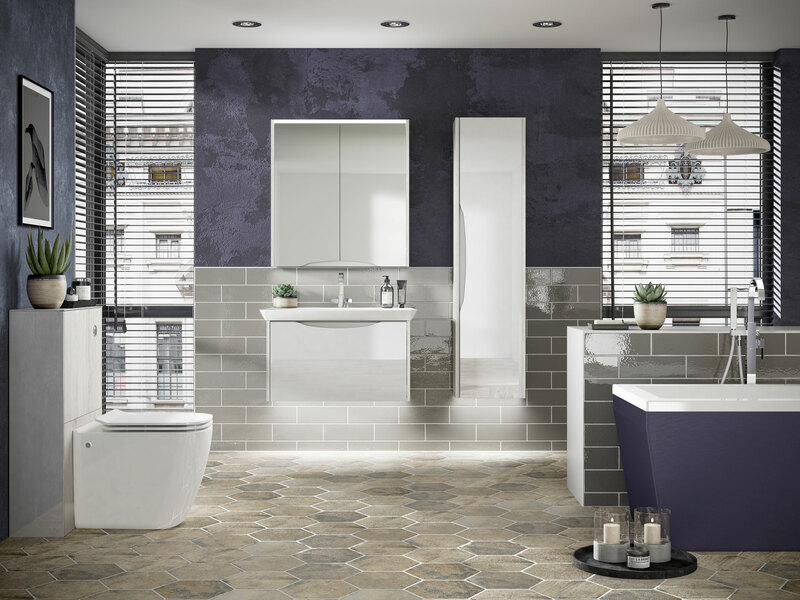 Mirror solution Large double sided panoramic soft close mirror doors offer the perfect bathroom solution. Lustre storage Coralux drawer inserts are easily removable for cleaning, and feature a secret sliding storage compartment. Unique form Designed in-house and manufactured in the UK, the unique Lustre Coralux solid surface washbasin has to be seen (and touched) to be believed. A dash of copper The metallic insert strip in either copper or chrome creates a striking feature against your choice of coloured glass. Size options Lustre washbasin units are available in three sizes - 680mm, 880mm and 1080mm (sizes stated are the Coralux washbasin version). LED lighting The subtle overhead integrated LED light provides even, natural illumination, along with under unit mood lighting. 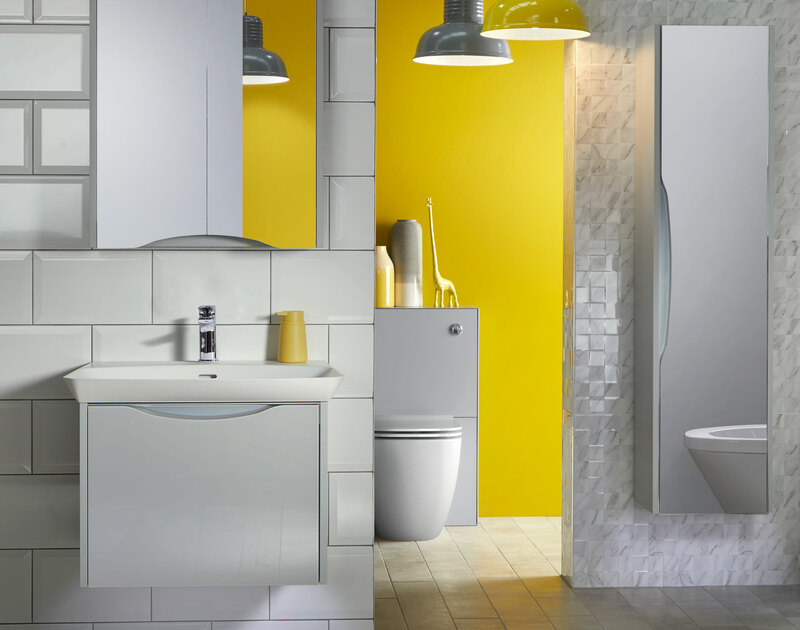 Matching WC unit The Lustre toilet unit features co-ordinating coloured glass side panels and worktop, with a matt finish front panel.